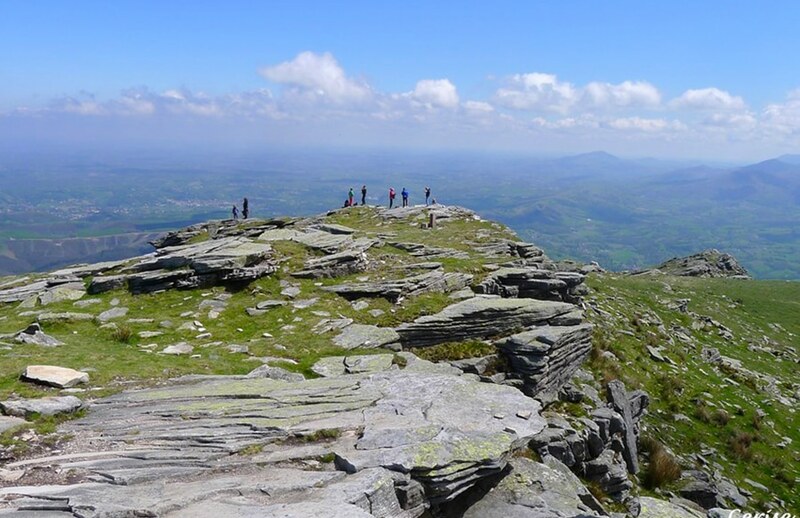 Our holiday cottage is close to the GR65 and to the path of Santiago de Compostela which goes from the Puy en Velay to Saint-Jean-Pied of Port. 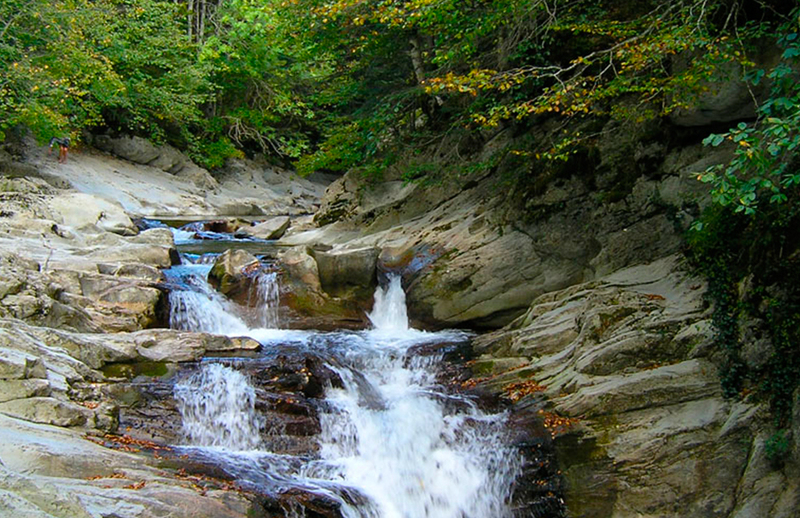 Gisèle provides you with the guide of 36 paths in Soule. 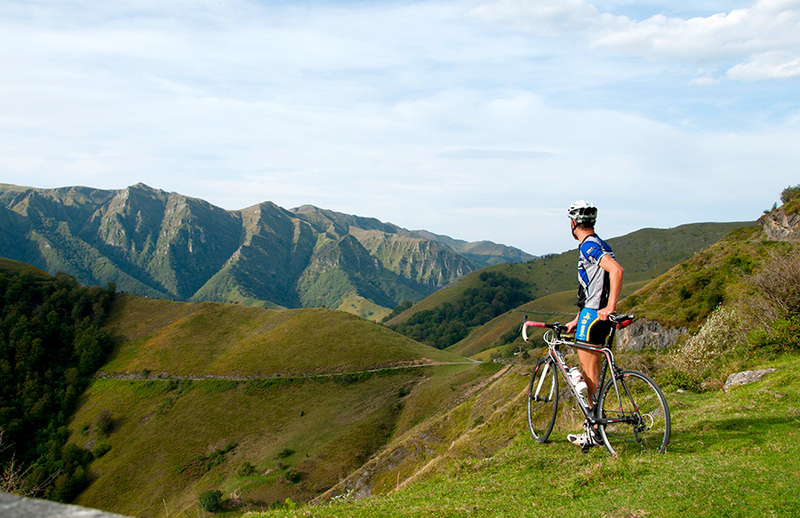 Everywhere around you will find numerous pedestrian or mountain bike’s ballads to take advantage of the mountain and the surrounding country side. 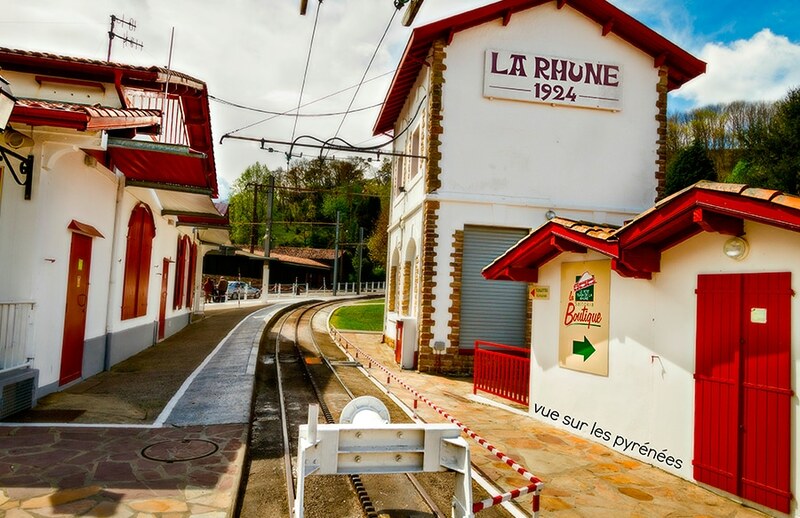 The PLR of Larrori leaves directly our “chambre d’hôtes”. 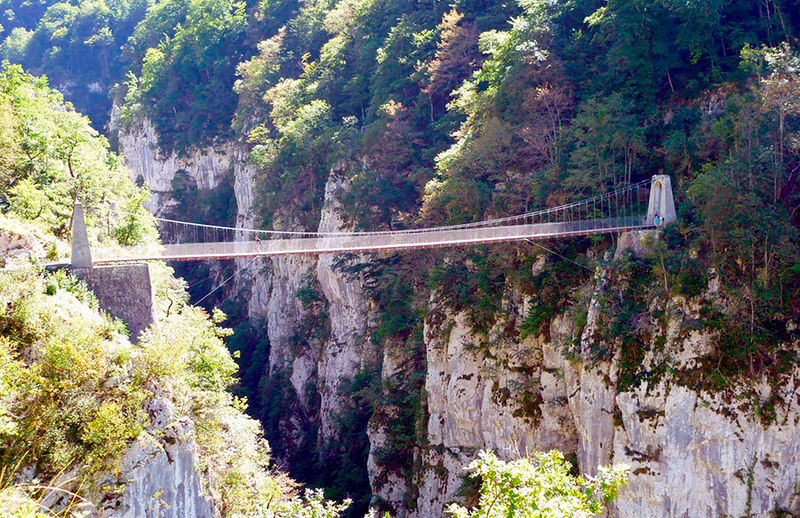 Two kilometers in length, they were fitted out and opened to the public. The visit can be made only in the low tide, generally of July 1st at the end of September. Their depth reaches thirty three hundred and fifty meters. In certain places as the Big Narrow, some meters only separate both hillsides of the fault. 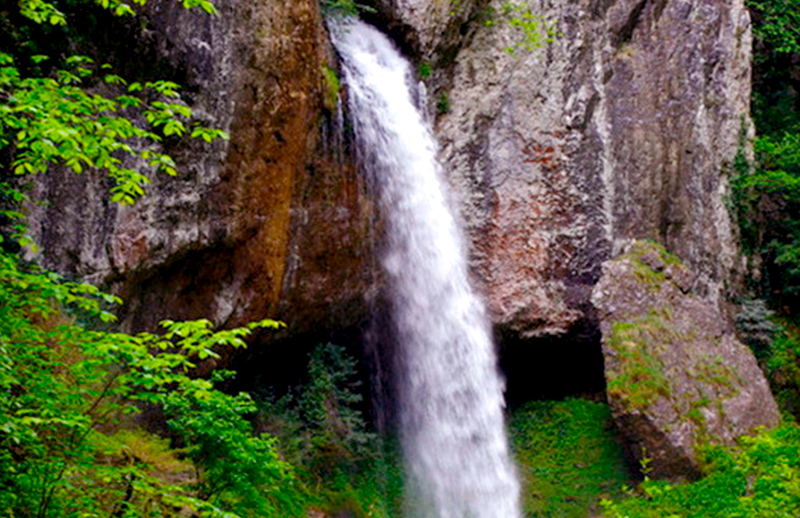 A waterfall of twenty meters and a cave are at the end of the route. 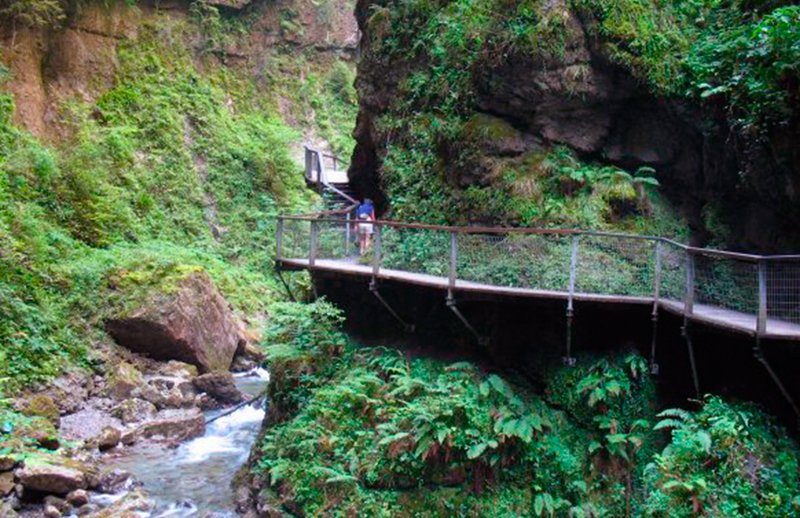 In gorges, mosses, lichens and ferns are so plentiful as they favored an almost tropical microclimate. 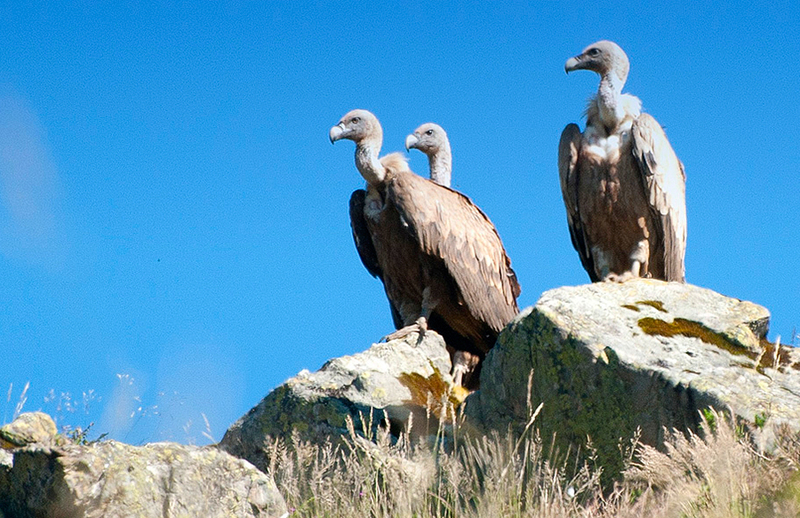 In the bend of a cliff, adding to the natural atmosphere of places, a flight of birds of prey fascinates the visitors. 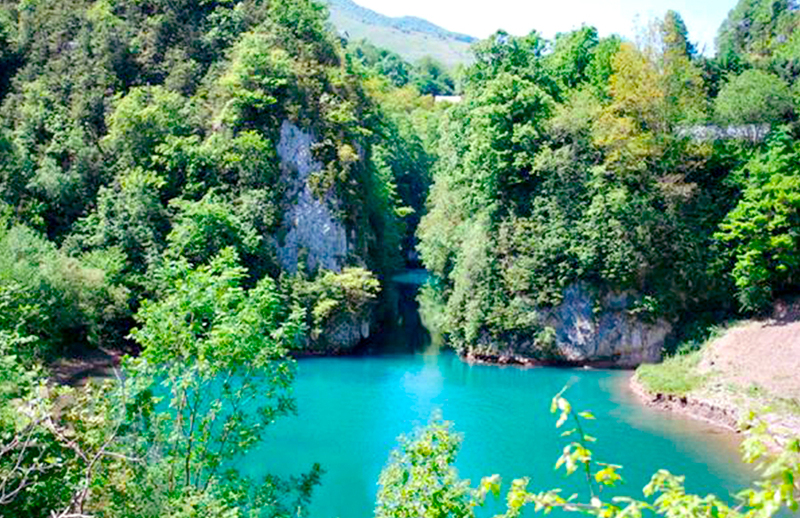 Vertiginous Cliffs, luxuriant vegetation, refuge of majestic birds of prey, the heart of the Basque mountain reserves many surprises to the nature lovers! 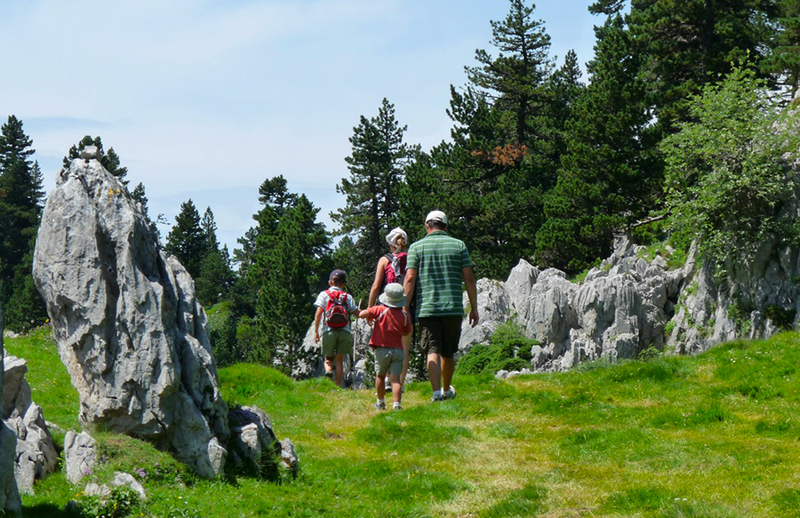 The path of the gorges of Kakuetta is return 4 km, 2 hours of walking, accessibleto every public (but not in strollers). 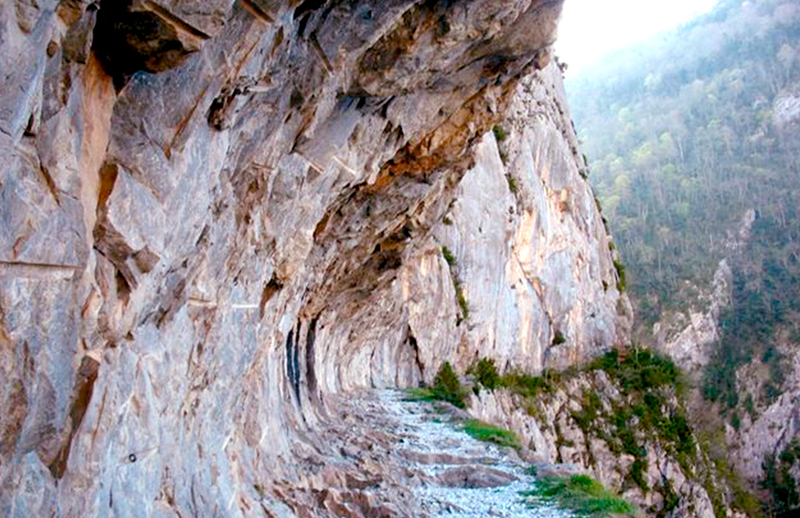 “Holtze arte”, means in Basque “between walls”, a name perfectly adapted to these gorges, even if holtze (of ohol, “board”) usually applies to wooden partitions. 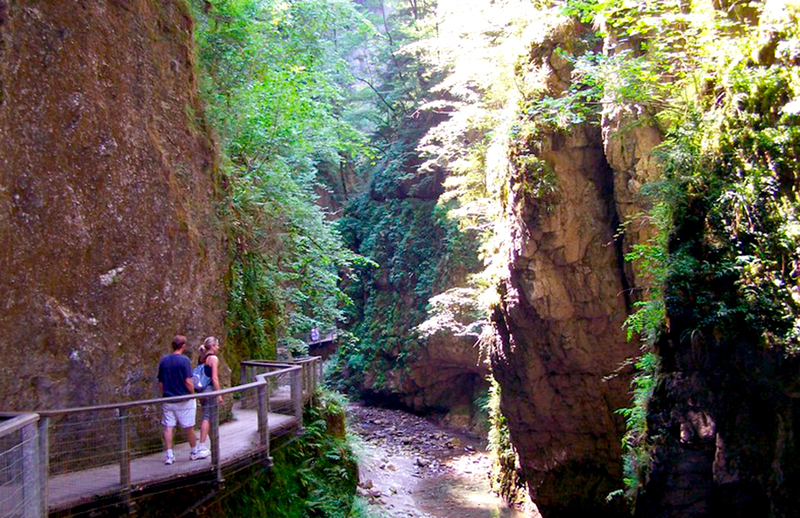 The High-Soule presents a karstic landscape cut by profound canyons of which the gorges of Holtzarté, deep from 100 to 300 m, are the most spectacular. They were dug 80 million years ago, by Olhadoko erreka. This tempestuous torrent collects waters of the valleys of Zitziratzea and Betzula then passes by eastward at the foot of the rock faces of Odihandia before rushing towards 600 m of height, in a narrow and profound canyon which curves gradually northward. There, it is fast strengthened by some waters of the valley of Ardane in the South, then mid-term by those of Uztarbe in the North. 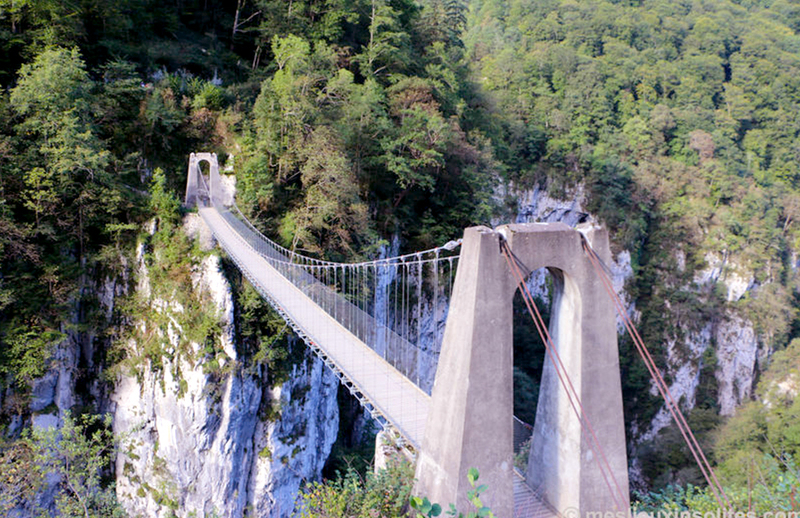 In 420 m of height, takes place the junction with the gorges of Olhadubi, dug by a right tributary from the slopes of Sardekagaina. 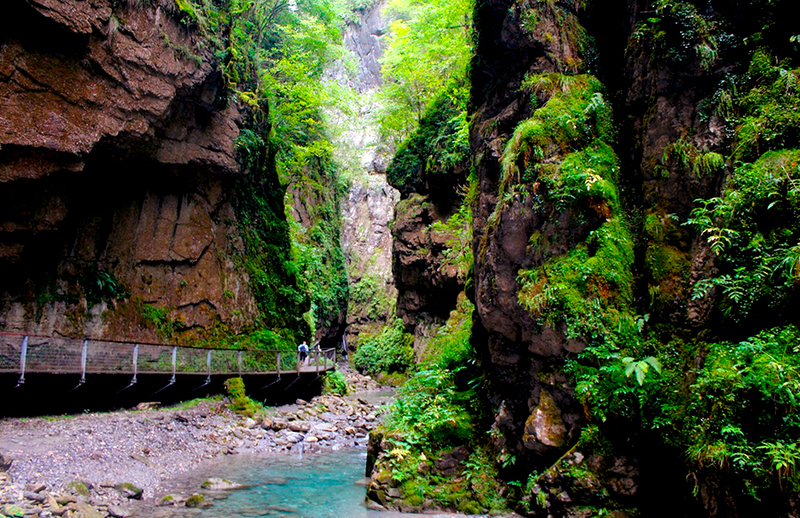 It is these gorges over which steps the famous footbridge of Holtzarté (580 m), not far from the place of confluence. 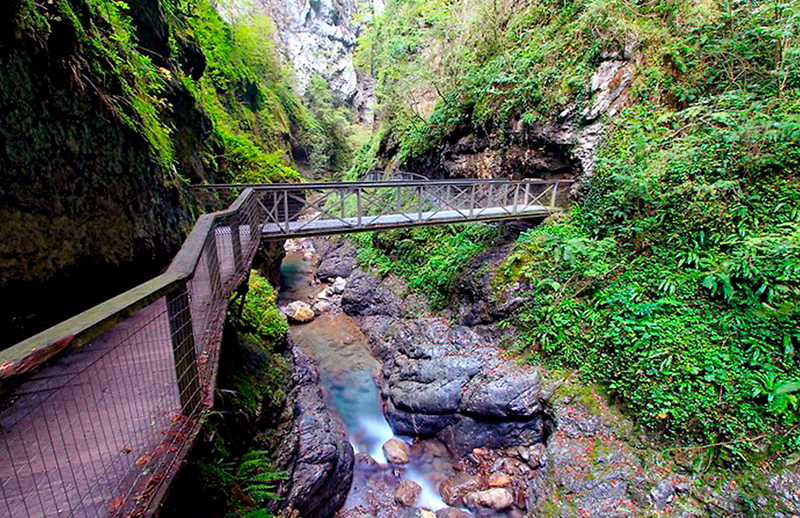 Built in 1920 by the Italian workers of the sawmill Lombardi Morello from Tardets to allow the forestry development of the wood of Holtzarté, this impressive footbridge, which we feel moving under its steps, overhangs the canyon in more than 180 m.
Footbridge of Holtzarté over the canyon of Olhadubi. 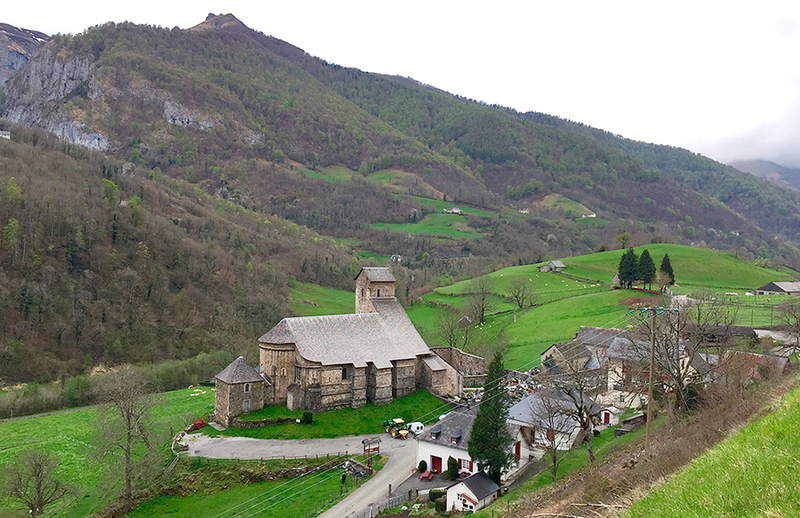 We can reach the access from Logibar (380 m), on the road D 26 leading to Larrau, by an uneven pedestrian pathof 45 minutes’ walk. 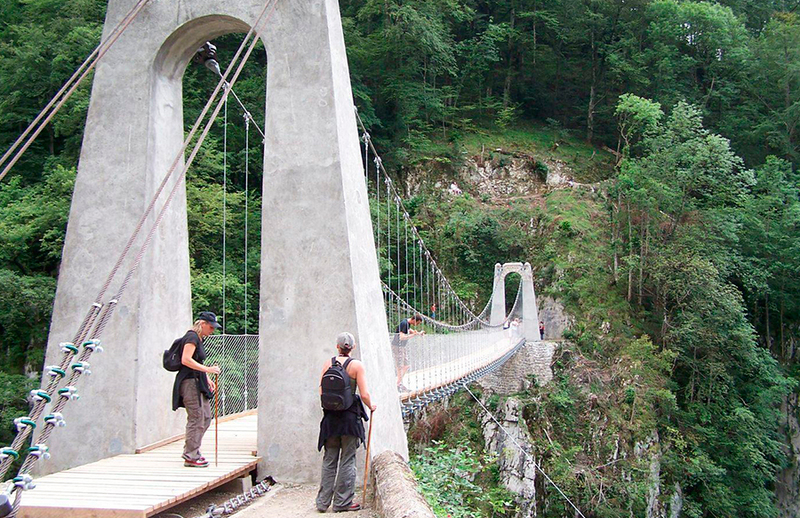 It is also possible to make a circuit of 4 hours by the collar of Ardakotxea (985 m) up to the bridge of Olhadübi with return by the left hillside of gorges and footbridge of Holtzarté. 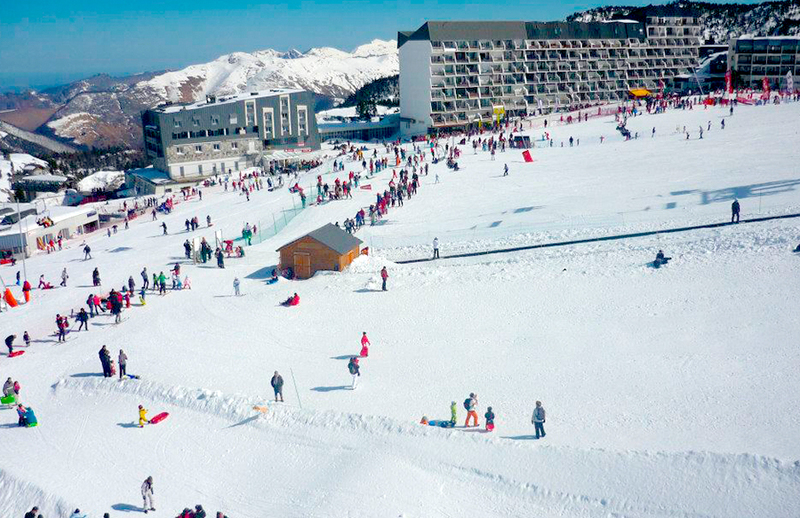 Pierre Saint-Martin is a locality and a winter sports resort of French Pyrenees. 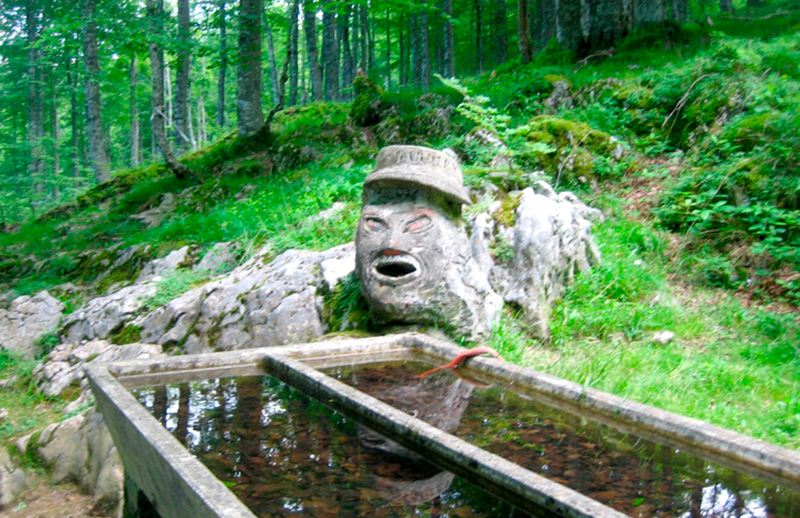 She is situated in the department of the Pyrénées-Atlantiques on the municipality of Arette. 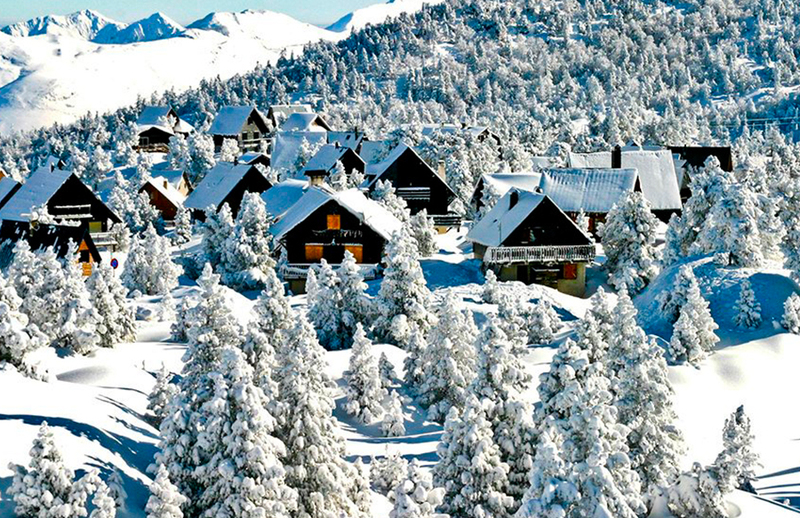 It is a family station, a village of chalets situated in a forest of pines. 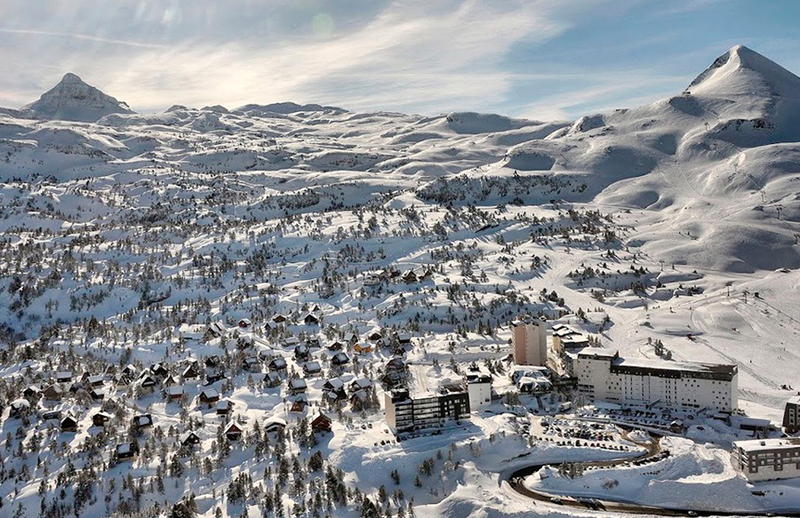 The domain proposes 55 hectares, in 2 200 m of height. 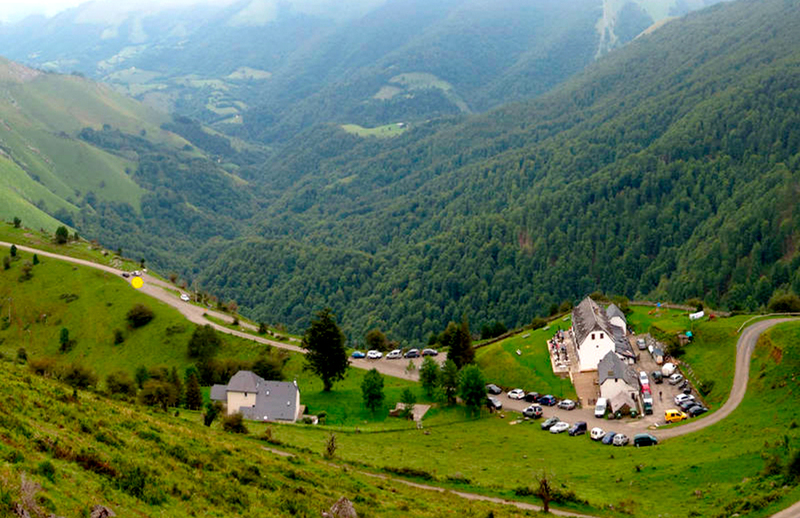 The massif of Pierre Saint-Martin is one of also high places of the caving. 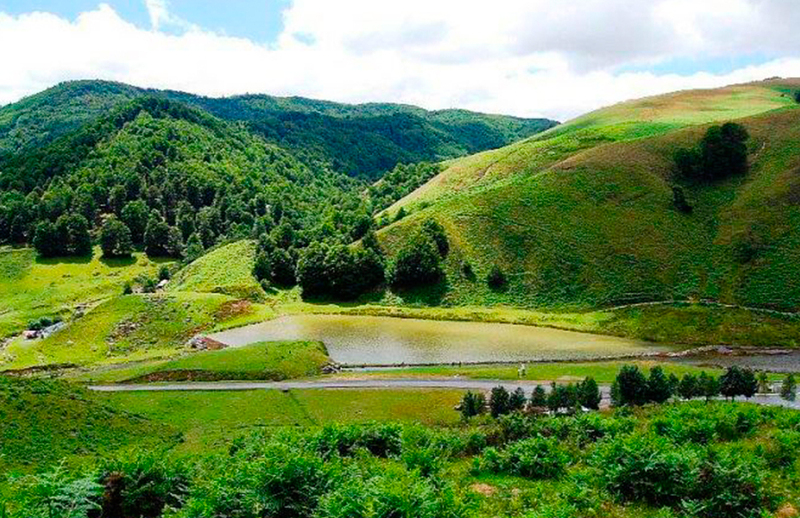 The forest of Iraty is a forest of 17 300 hectares of the Basque Country distributed between the Soule region ( Larrau), the Basse-Navarre (Mendive and Lecumberry) of the French side and Navarre of the Spanish side, framed by the summit of Okabe (1 466 m) and the peak of Orhy (2 017 m). 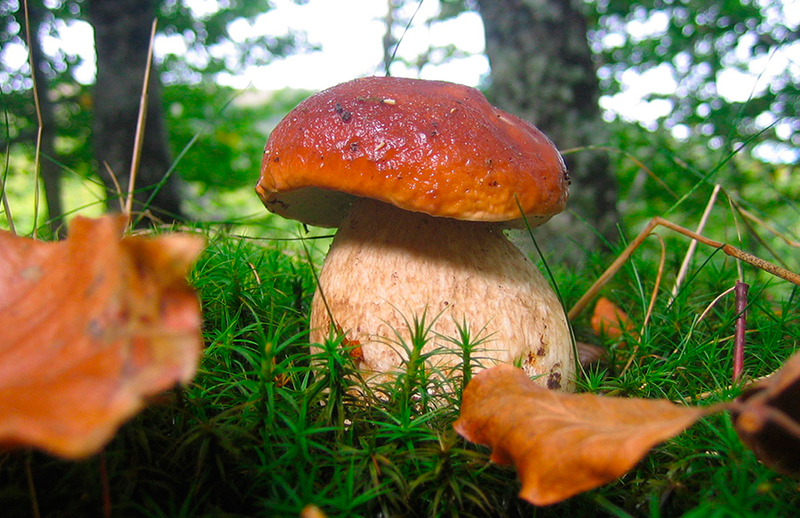 Situated in a little populated zone, it kept a wild and mysterious aspect, fed by numerous Basque legends. The current forest, the forest of beeches (90 % of the trees), is the biggest beech grove of Europe. 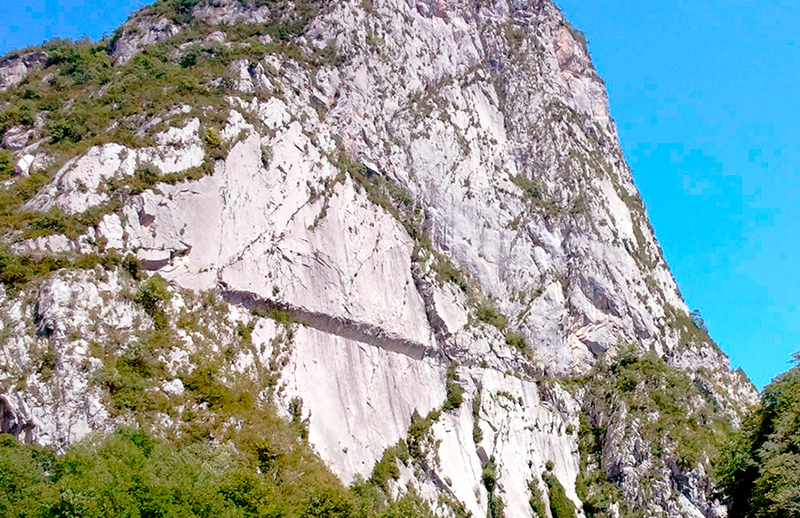 The access road was realized only in 1964. 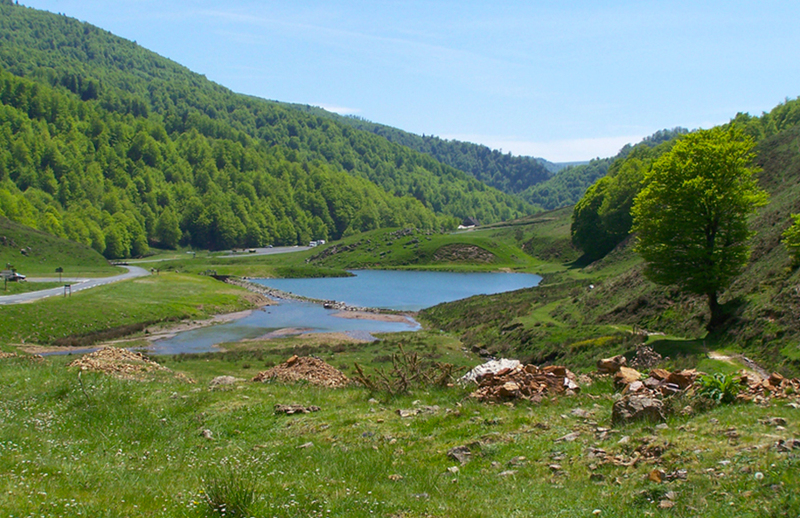 Iraty is situated in the Mediterranean paying pond. Indeed, the border with Spain does not follow completely the watershed, and the forest of Iraty is in the pond of the Ebro, on horseback on both countries. 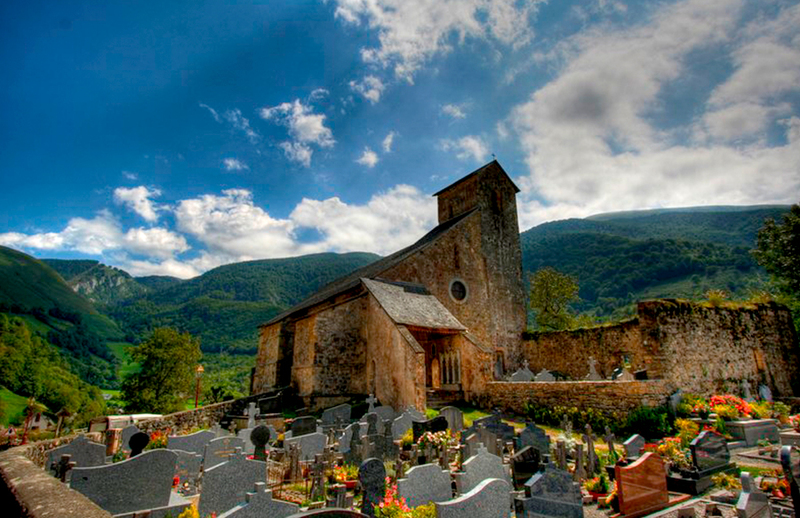 History the village of Sainte-Engrâce probably formed around the church of the same name, based itself in 1085 by the abbey of Leyre in Navarre, in which appointed a hospital for the pilgrims. 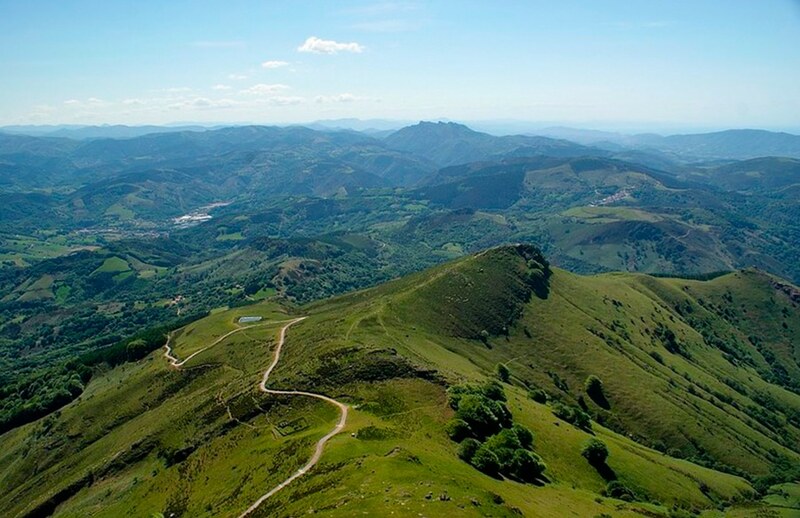 It was a stage on the way of Santiago de Compostela, the name of which makes reference to a young Lusitanian who was tortured by Romans around the year 300 while she went to Gaul to marry a noble Christian. The worship of the saint originated in Saragossa and the legend says that in the Xth century, thieves seized an arm of the saint and hid him in the hollow trunk of an oak. Every day a bull knelt down before the oak and its horns blazed. A church was then built in this location and became place of pilgrimage. The invaluable relic disappeared in 1569 during the religious wars. The church was classified as “Historic Monument” in 1841. It was the object of important works of restoration in the middle of the 1980s. 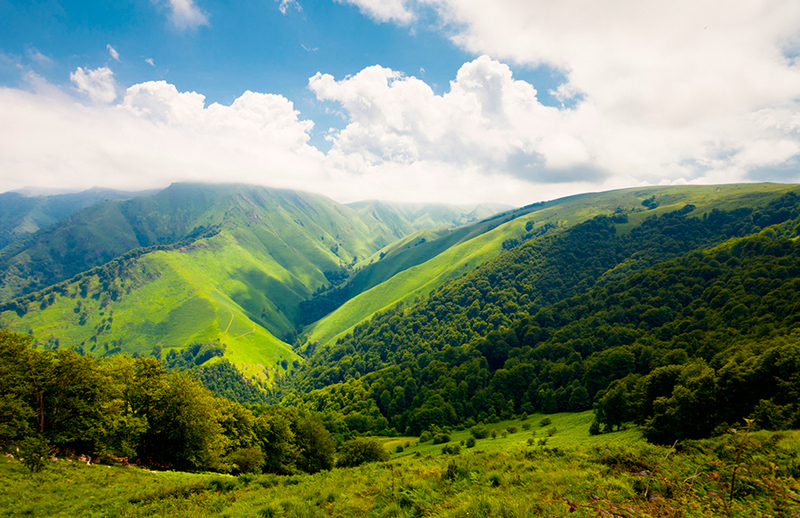 We propose you a stroll on the paths of the smuggling, bare of the pass of Ahusquy, a massif isolated in the depths of the mountains where the inn of Ahusquy welcomes shepherds and travelers. 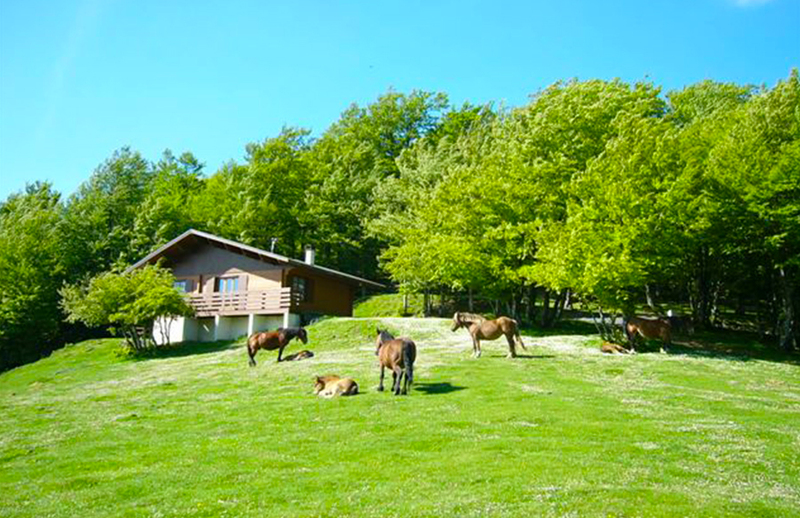 At the top of the collar of Ahusquy, the inn of the family Etchebarne offers a breathtaking point of view on the chain of Pyrenees. 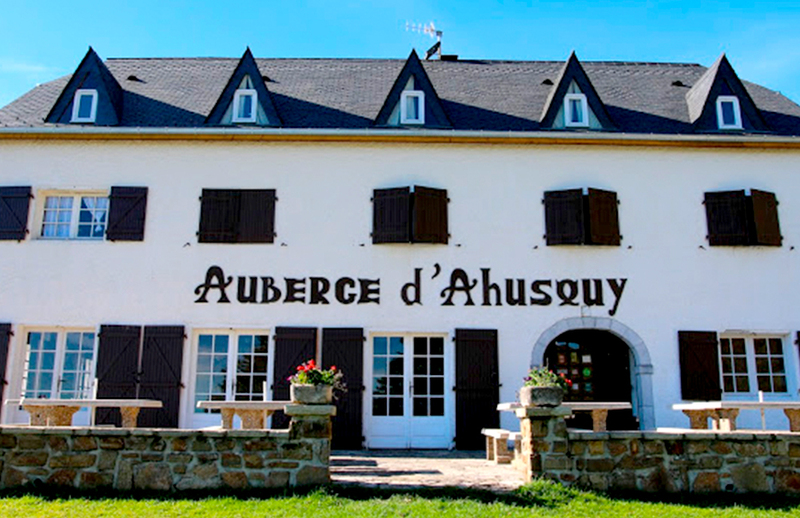 It is necessary to cross at first Aussurucq then to make a commitment in the magic forest of the massif of Arbailles, on a small sinuous mountain road, to claim to offer itself the panorama of the hostel of Ahusquy. Situated on the pass of the same name, this former customs post was bought by the great-grandfather of the current manageress, Michelle Aguer. 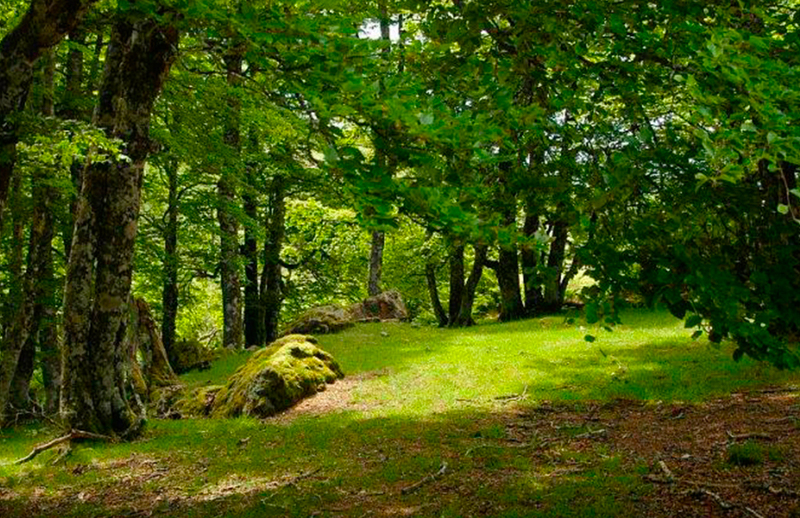 The collar of Ibarburia is the front door in the mountain pastures of Ahusquy, place of summer pasture known for all the shepherds of the region. 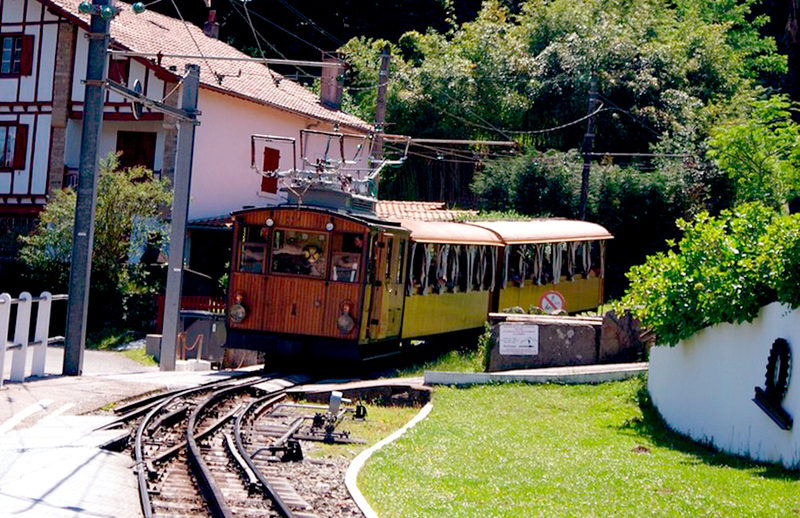 The rise by Alçay takes place in two phases, with a first collar (Lecharria) of 7 km which does not miss character. 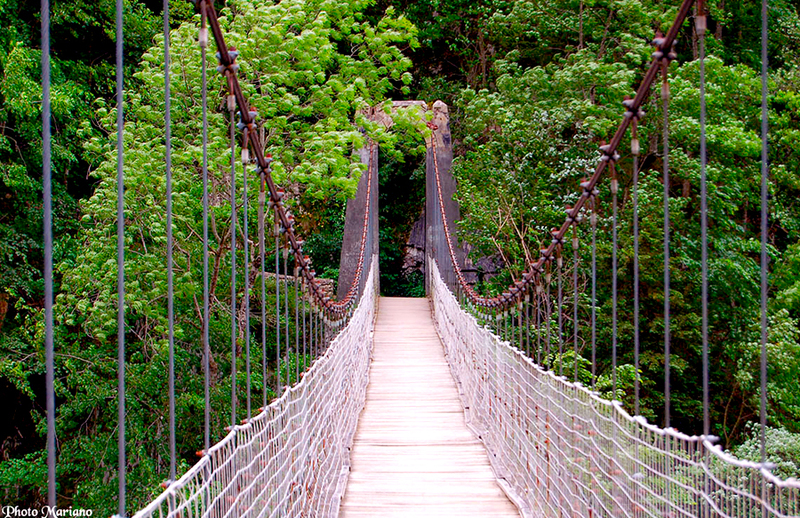 The final in the comb of Ahusquy is more bucolic, whatever, a last banister could again make suffer calfs. 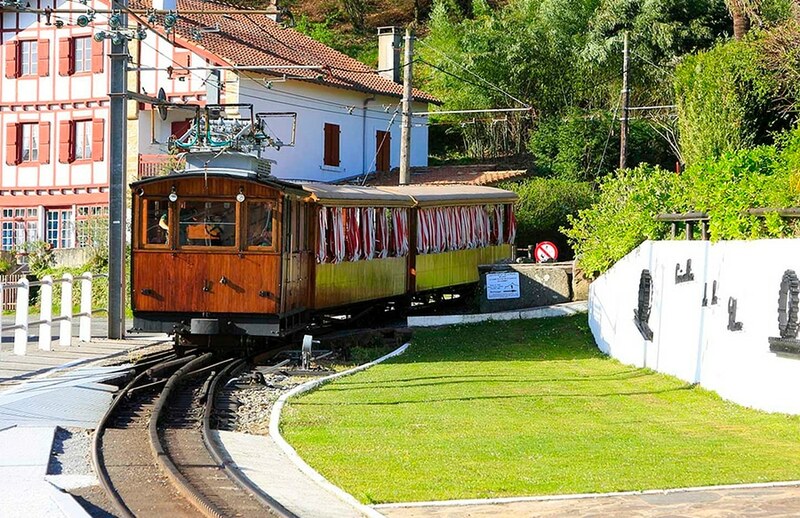 On the municipality of Sare, to approximately 10 kilometers of Saint-Jean-de-Luz, this authentic rack train of collection dating 1924 brings you in 35 minutes, to 905 meters height, on the mythical summit of the Basque Country! 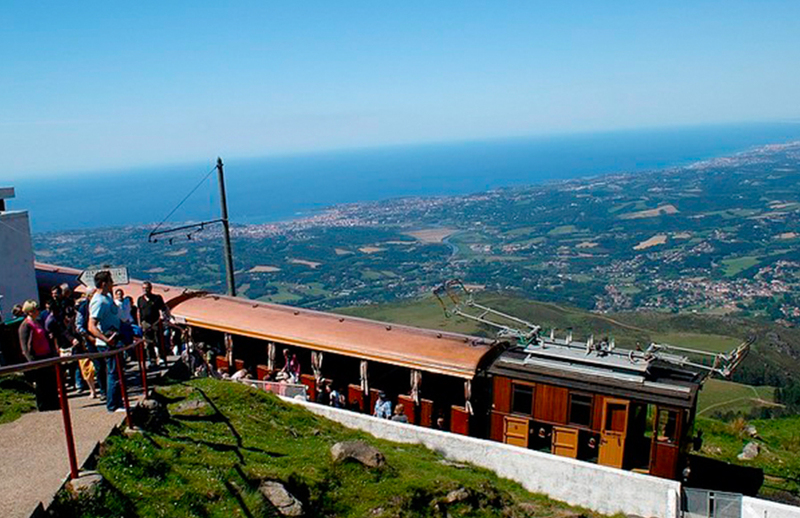 To 9 km/h in 35 minutes, the passengers arrive at 905 m of height and discover a breathtaking wild landscape. 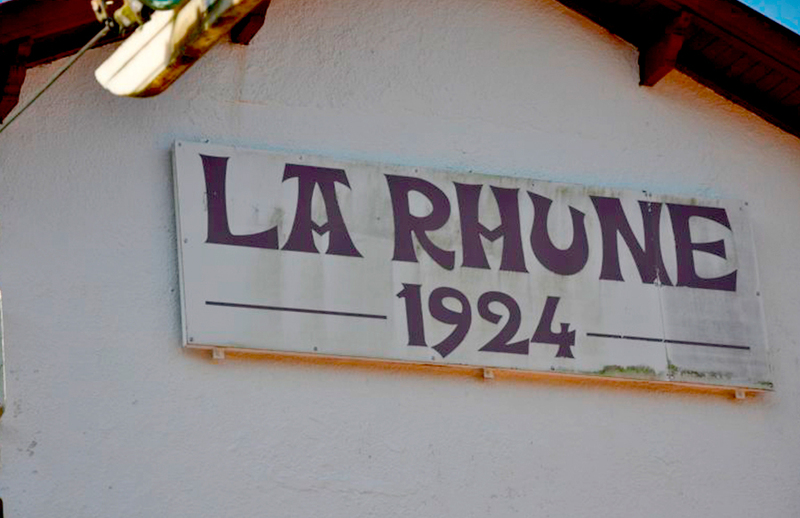 Rhune offers an exceptional panorama to 360 ° on the French and Spanish Atlantic Coast as well as the range of Pyrenees which extend as far as the eye can see. 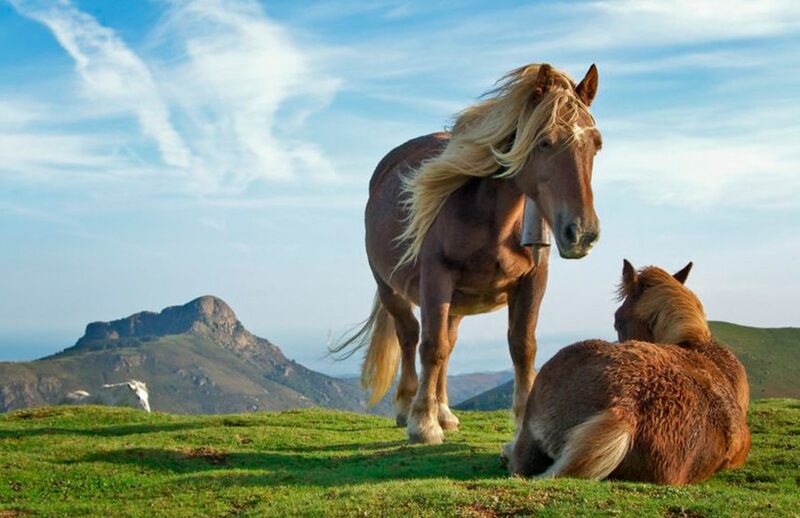 Discover the “Pottok”, strong small Basque ponies living in total freedom, “Manechs” ewes and the griffon vultures, the symbolic birds of prey of the Pyrenean range.